As you noticed, there are separate spreadsheets for Offensive and Defensive sets. I wish I could do them together, but the numbers simply get to big. Consider that if you have 10 possible gear pieces per slot, you end up with 100.000 possible combinations. So I have a list of all possible gear pieces, and select a number of pieces for each slot in each category. And even that list is not complete. For example, I have already eliminated Void from defensive gear to bring down the numbers. I make that decision, and you have to trust me that I’m somewhat correct on the choices I made. Secondly, for the numbers in the selection, I place high level Artamir gems in Ring/Shield or Weapon/Amulet, to better simulate diminishing return levels that (reasonably) reflect current gem levels. That’s because the buffs from Gems are so high now, that differences in buff/debuff due to gear alone could have a different magnitude effect, compared to when adding in gems. A 40% higher buff is less problematic when the numbers are 540%/500, compared to 50%/10%. For the latest round, I used level VIII gems. Lastly, I have explained before, all sets and gear pieces assume a crap random roll. I cannot figure in all possible random roll combinations as well. So it could well be that a perfect roll on a level I piece makes it better than all your level II pieces. Just take that into account. These are simply the numbers of each buff debuff that a given set gives in percents. Nothing special. These are simply the sums of the offensive buff/debuff combinations in percents. So Att.Total is the sum of attack and Life debuff; Def.Total that of life and attack debuff. These are the numbers and formulas I use to determine the best sets, as they provide a relative measure of how well each set scores. For most intents and purposes, just stick to these numbers. But there are a few things to keep in mind though. Now to use the list most effectively, you need to keep the following in mind. Fist of all, the Att.Power and Def.Power are the best and first indicators of which sets per form best. So like I do for the Best Sets article, you should first order the lists on that column. The larger the Power number the better. However next, you wanna look at the buff/debuff numbers and the totals. For attack, that will be attack/LifeDebuff/Att.Total. For defense life/AttackDebuff/Def.Total. Remember that for the lists, all Artamir are of the same level, so we cannot swap them around and change the buff/debuff ratio. But in the game, most players WILL have different levels of Artamir, PLUS we have our rainbow Gems which we can also use to create either more buff or debuff depending on our gear. If you look closely, you’ll see the middle set has 838.6% total buff/debuff, while the sets above and below both have roughly 818%. This particular set scores comparatively low, because as you can see, it has way more debuff than buff, and the other two sets are way more in balance. In this case you would want to go with the middle set in most cases, because you can focus your best Artamirs and rainbow gems on adding more buff and evening out the numbers. With two Artamir IX and the rest VIII you can close the gap 102%. With level VII Rainbow gems, you have another 384% to freely distribute, more than enough to completely close the gap shown in the list. So in short: take the Power numbers as your base, but always check the sets surrounding it for possible better total buff/debuff numbers, if you know you can even things out with your Gems. 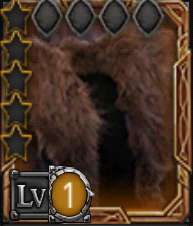 This entry was posted in Articles and tagged amulet, artamir, attack, battle, best, bonus, buff, debuff, equipment, formula, gear, gem, Hero, hero equipment, kabam, kingdoms of middle earth, KoM, life, list, mechanics, rainbow, ring, series, sets, shield, slot, Spreadsheet, weapon by beardmonkey. Bookmark the permalink. Are you actually assuming that every gear has a perfect 4. buff? If yes: How do you define perfect? Did you use a Tauriel Bow 2 with +36% att or -36% life for your statistics? I cannot find any information about that in your article. It would be nice if you could help me understanding in this point. I really appreciate your work here. I still can’t open the file. Can you please help? cant open it? do you have winrar? You need it to unzip/rar. Google winrar, website is rar-lab or something similar.. Regarding the speadsheets, is there any reason that Attack and Defence in one workbook with attack on one sheet and defence on another.